Origin stories are the hardest to make work because they are often too bland, too easy and, in the case of so many films, already been done before. Superhero origin stories are often the weakest because half of the movie is a set-up until will get to the meat of the story. Tomb Raider manages to be better than most origin stories because it gets to the action relatively early while still building up a decent character. That character is, of course, Lara Croft. While Angelina Jolie did a great version as the knock-out explorer who is seasoned and badass, this version of everyone's favorite Tomb Raider is based on the newest games in the series. This Croft isn't a badass, yet, just a young woman trying to find her place in the world. Casting-wise, Alicia Vikander is a major coup. Vikander may look a bit scrawny, but she is pure toned muscle here - ready to turn her budding MMA skills and bike courier chases into something more. She is also heir to the huge Croft fortune (as well as a mansion) but refuses to accept that her father (Dominic West) is gone, despite being missing for several years. The capable Ada Miller (Kristin Scott Thomas), who has been overseeing the company, gently reminds her that time is running out and without her signature, the company will be broken apart and sold off to the highest bidder. Acceptance of this fact begins her true adventure - which leads her to a drunken ship captain (Daniel Wu), an unexplored island in the middle of one of the most dangerous areas of the sea and the first Japanese Empress who was rumored to command death itself. It also pits her against Mathias Vogel (Walton Goggins) and his mercenary group, who isn't afraid to kill to get what they need: the location of Himiko (said empress) and the power she holds. 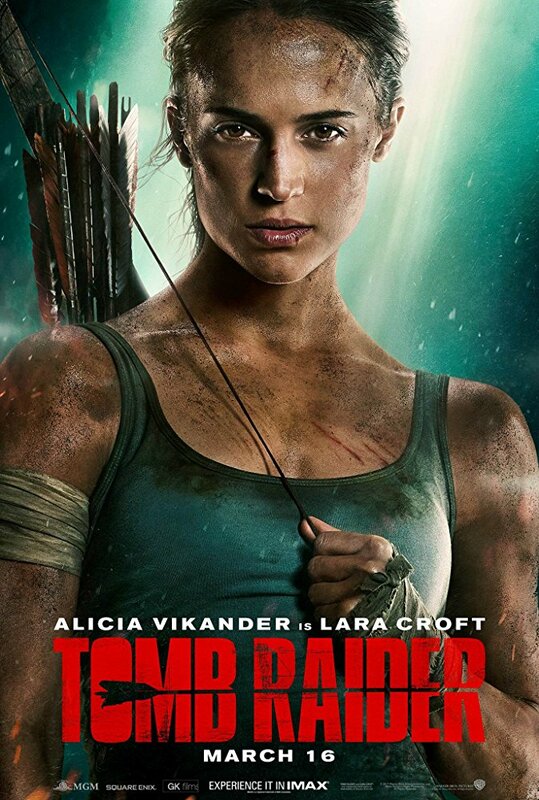 The film mostly ignores the more supernatural aspects of Tomb Raider and instead focuses on the pure action of the game - which turns out to be a pretty close relative of the Indian Jones films (well the first ones - not so much the CGI monkeys and nuclear bomb/fridge survival). While the film benefits from Vikander, most of the other characters aren't given nearly enough to do. Goggins is essentially Colonel Kurtz-lite while West is a cross between Robinson Crusoe and Robin Williams in Jumanji. And they waste Wu - he isn't even given a decent scene to show off his moves (I mean, haven't they seen Into the Badlands?! - the man can MOVE). Even so, it is a promising start and I just hope the film makes enough to justify a sequel that, once all this origin stuff is out of the way, is bound to be better.